Audi debuted its Crosslane Coupé plug-in hybrid concept at the Paris Motor Show today, and says the vehicle "provides a glimpse of the future shape of design, along with automotive and drive concepts." 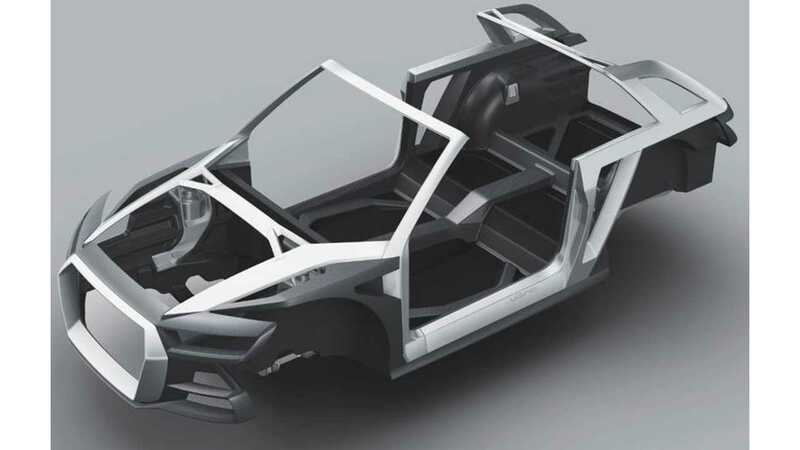 The Crosslane has what Audi calls a Multimaterial Space Frame, which allows the vehicle to break away from normal constraints of cars today in regards to weight, costs and energy usage over its lifecycle,. 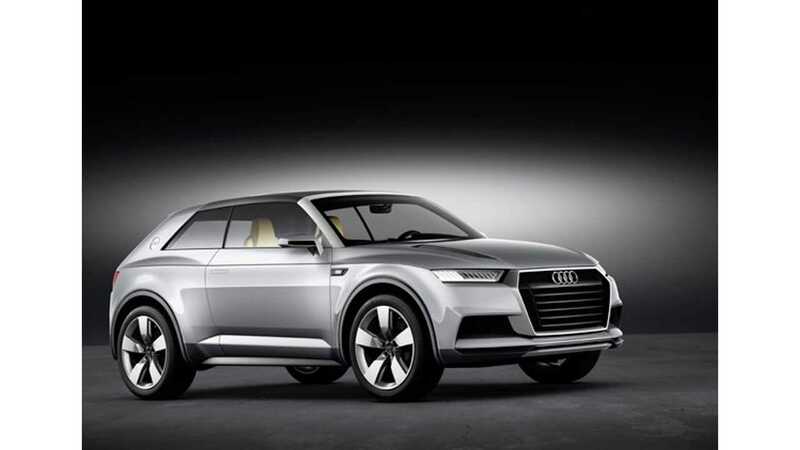 Audi says this is an extension of Audi ultra program – the lightweight construction principle from Audi. 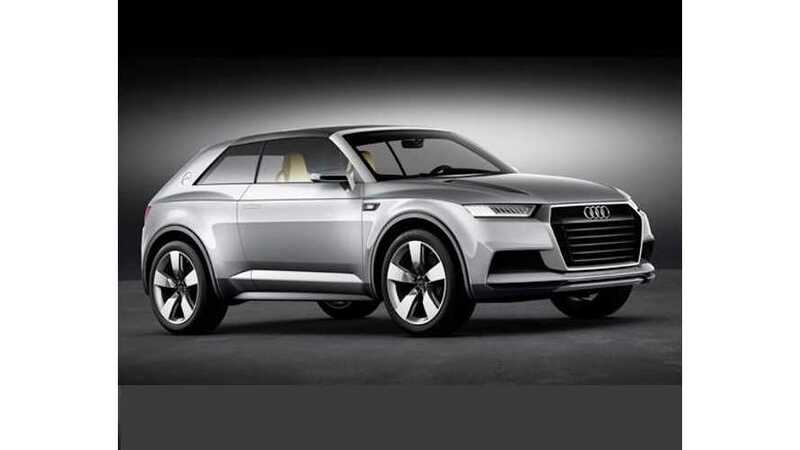 The concept weighs only 3,064 lbs, and Audi states that with the help of two electric motors (and a single-stage transmission) the car has a fuel consumption 1.1 liters per 100 km, which is about 214 US mpg. Obviously, fuel efficiency rating does not translate directly to the US (EPA) blended standard of MPGe, but we estimate it would achieve a mid 80s rating if it where currently on sale as it stands. 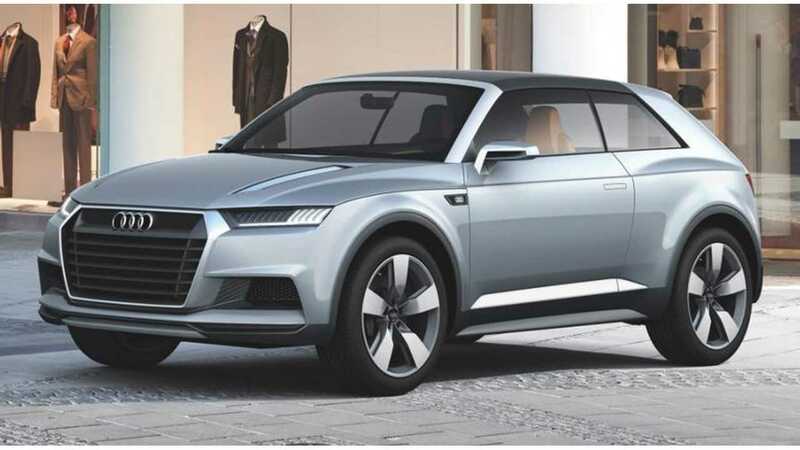 The Audi Crosslane's lithium-ion battery has an output of 17.4 kWh, which Audi says will propell the car for around 86 km (53 miles) in the electric mode. Using our special NEDC to EPA (US standard) "range decoder" ring, we put this car at about 35 miles of range. The dual-mode hybrid concept enables different operating modes. From 0 up to 55 km/h (34.18 mph), drive power is supplied solely by the EM 2, which draws the energy it needs primarily from the battery. In serial mode, the combustion engine and the alternator (EM 1) produce electrical energy to support, relieve or substitute the battery should it be discharged. The electric mode is possible up to 130 km/h (80.78 mph). But, starting at about 55 km/h (34.18 mph) the drive system allows the TFSI engine together with the alternator to couple to the drivetrain – in this hybrid mode, the drive sources combine to optimize both efficiency and performance. Above 130 km/h (80.78 mph), the three-cylinder engine becomes the main drive source but the EM 1 can support it if required. The driver of the Audi crosslane coupé can choose between the “cruise” and “race” settings. The “cruise” mode prioritizes electric driving. 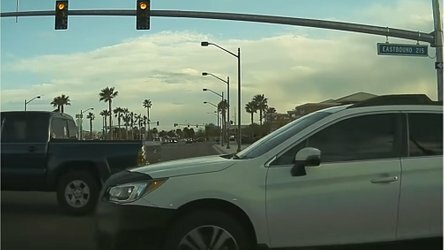 The driver does not notice either gear changes or the power source kicking in. When the TFSI is running, its engine speed is always adapted to the road speed – without a “rubber-band” effect. The high efficiency of the transmission makes the dual-mode hybrid drive especially efficient in urban traffic.